Coming to a shopping mall near you! 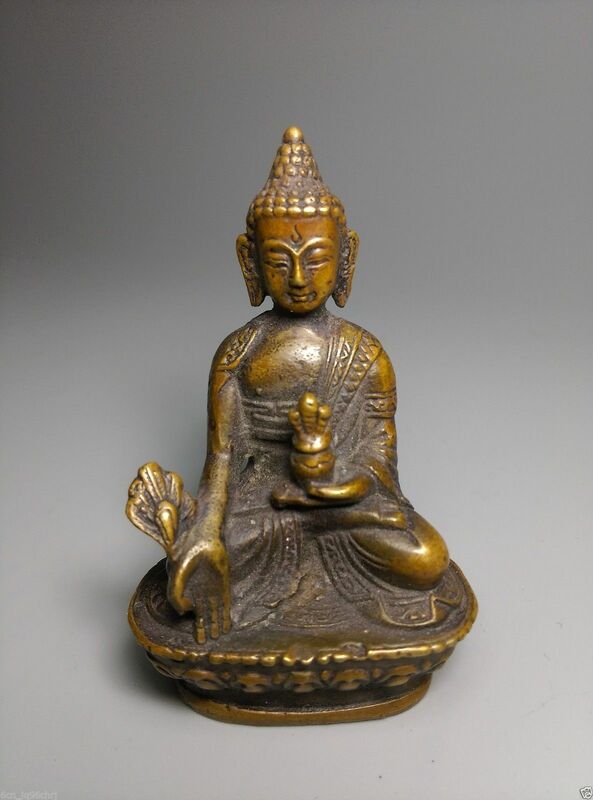 There are different forms of Buddha depending on his body postures and what he holds in his hands. But without conscience all were stolen from their rightful owners by the Chinese government who then sold the shrines en masse no matter what the pose, age or material it was made from. Surely the Chinese Communists feel it is better to just get it out of the country than have it be venerated there, and all the better if they can make a profit from others’ loss apparently. Bhaiṣajyaguru (भैषज्यगुरु), formally Bhaiṣajyaguruvaiḍūryaprabhārāja (भैषज्यगुरुवैडूर्यप्रभाराज) “Medicine Master and King of Lapis Lazuli Light”, is the Buddha of healing and medicine in Mahāyāna Buddhism. Commonly referred to as the “Medicine Buddha”, he is described as a doctor who cures suffering using the medicine of his teachings. Medicine Buddha is typically depicted seated, wearing the three robes of a Buddhist monk, holding a lapis-colored jar of medicine nectar in his left hand and the right hand resting on his right knee, holding the stem of the Aruna fruit or Myrobalan between thumb and forefinger. 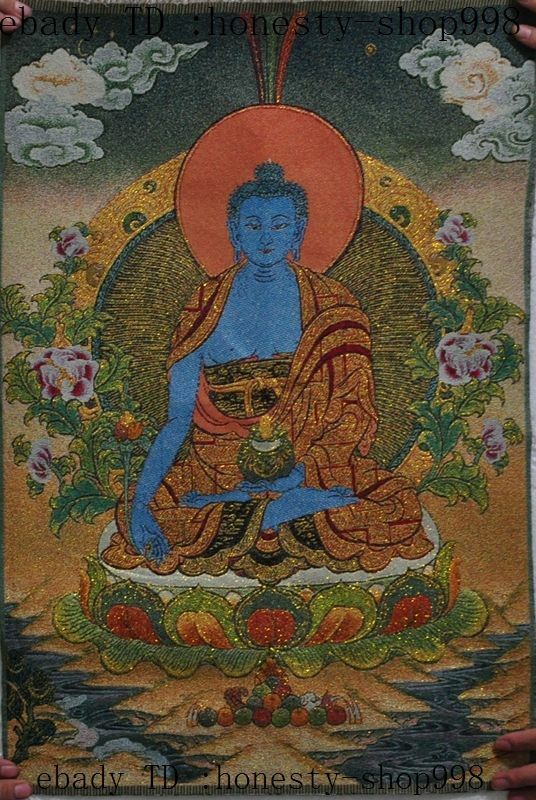 Often he is also blue himself- particularly in paintings, and in Chinese depictions he is sometimes holding a pagoda (stupa), symbolizing the ten thousand Buddhas of the three periods of time and/or represents the Mind aspect of the Buddha and also acts as a reliquary for Śarīras (relics) in some rare statues. To illuminate countless realms with his radiance, enabling anyone to become a Buddha just like him. To awaken the minds of sentient beings through his light of lapis lazuli. 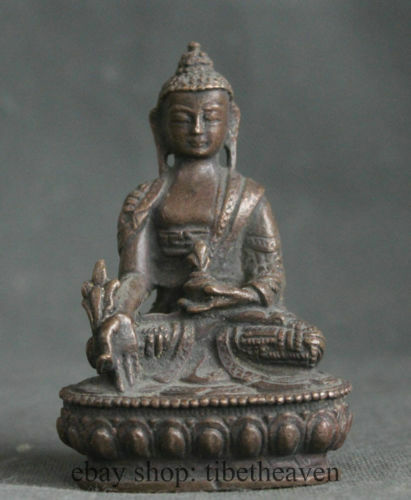 To provide the sentient beings with whatever material needs they require. 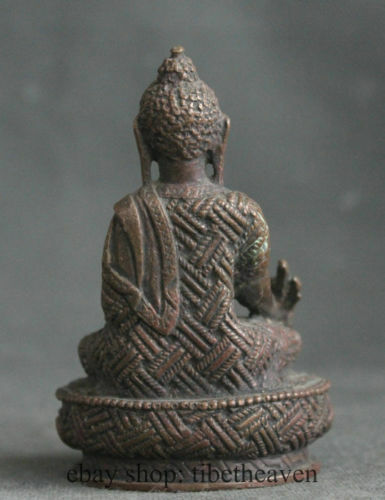 To correct heretical views and inspire beings toward the path of the Boddhisattva. To help beings follow the Moral Precepts, even if they failed before. To heal beings born with deformities, illness or other physical sufferings. To help relieve the destitute and the sick. To help women who wish to be reborn as men achieve their desired rebirth. To help heal mental afflictions and delusions. To help the oppressed be free from suffering. To relieve those who suffer from terrible hunger and thirst. To help clothe those who are destitute and suffering from cold and mosquitoes. Often times the photos are used again and again for a variety of Ebay shops who just put a different watermark on the same photo. They also sometimes just reuse ones with other shop names without changing the watermark- thus confusing potential buyers more and potentially leading them not to trust the seller- effectively devaluing whatever is for sale to the public. Devaluing what is held in high esteem is an old tactic by communists, from monks to priceless jade, they’ve done it all. 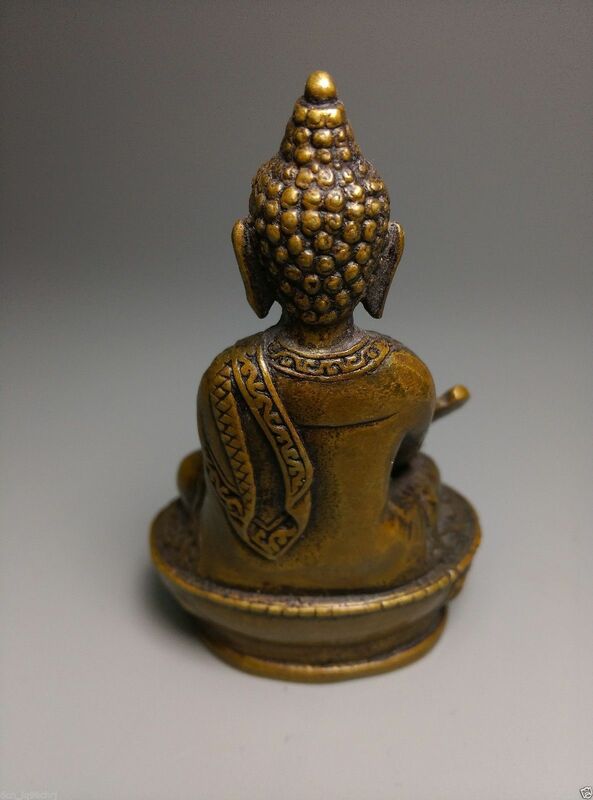 Photo #3- Another popular photo of the exact same statue that sellers reuse again and again, putting on watermarks whenever it might suit them. The problem here is that it isn’t one or two statues that have been stolen from Tibet. It is quite possibly 80% of these statues that were ever produced, all owned by individuals or families numbering in the thousands or more that are being wholesaled without a word where they came from by a network of sellers that certainly seem to cooperate with each other like communists might. The majority of shrines the Chinese are selling aren’t large or fancy, indicating they were taken from people personally, and poor people at that. Because of the fact that so many sellers use the exact same photographs over and over again, and often things which are worth much more- are sold for much less, it allows scammers to use photos of items they don’t even have and collect money from bidders, meanwhile it typically takes a month and a half for items to ship from China, so they can sell many, many items before Ebay shuts them down. Such is the case with the seller above chinacollection889 who apparently auctioned off over 200 items then never sent them. In cases such as this Ebay itself will refund the buyers, but the scammers are probably never caught as far as I know. This person is still in business even though they did this to so many buyers just recently according to Ebay, and even “Top Rated”. The statue above, though being sold as “new”, is made from the same turquoise resin that many antique snuff bottles are also made from. You can also see old dirt along the crevasses, indicating these are not new at all. Why lie if there wasn’t something to cover up? Although there are many, many Chinese sellers who use multiple aliases, they aren’t all the same people because they behave differently. 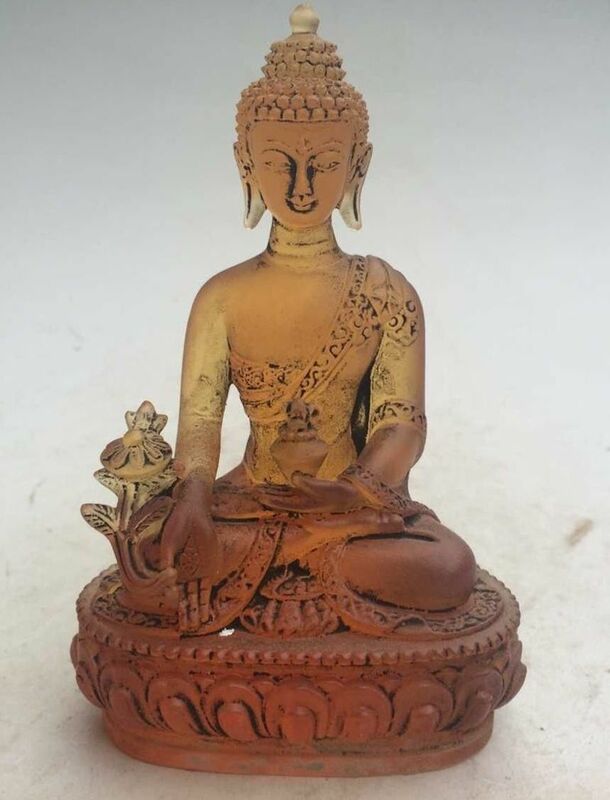 Instead of listing one item and saying they have multiple copies of it, this seller wind-horse relists this blue resin Medicine Buddha shrine every time it sells. This practice makes it difficult to know how many they have sold as well as creating an illusion that it is rarer than it might actually be, but most sellers just say they have multiple copies of the item on the Buy It Now page without playing this little game like the item below. Not to say that every single dealer out there with Tibetan goods has gotten their goods from Communists who murdered/persecuted these people and stole from them, but when they LIE and say an antique with obvious dirt/use seen as seen on this shrine is “new”- I just have to suspect the worst. It isn’t good to buy your religious idols from the devil itself and/or true evil if you hope they are going to do you any good. 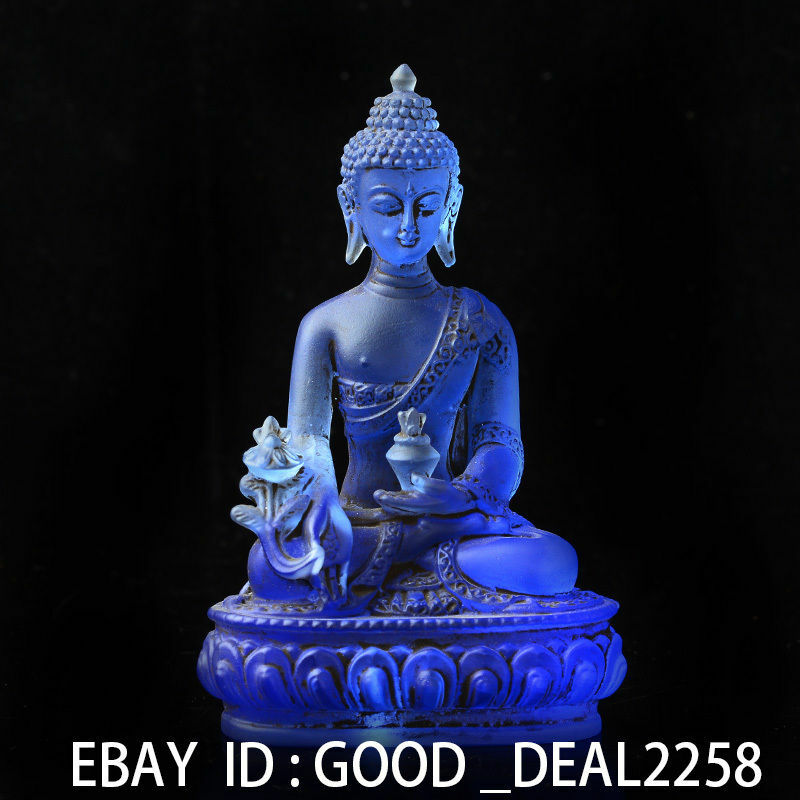 Though Medicine Buddha is most often depicted in blue, there is a rainbow of colors that have been produced for this model of crystal statue. These are quite ancient and may have even been sitting in a Buddhist stupa (or tomb) because of the amount of dust and dirt you can see on them. 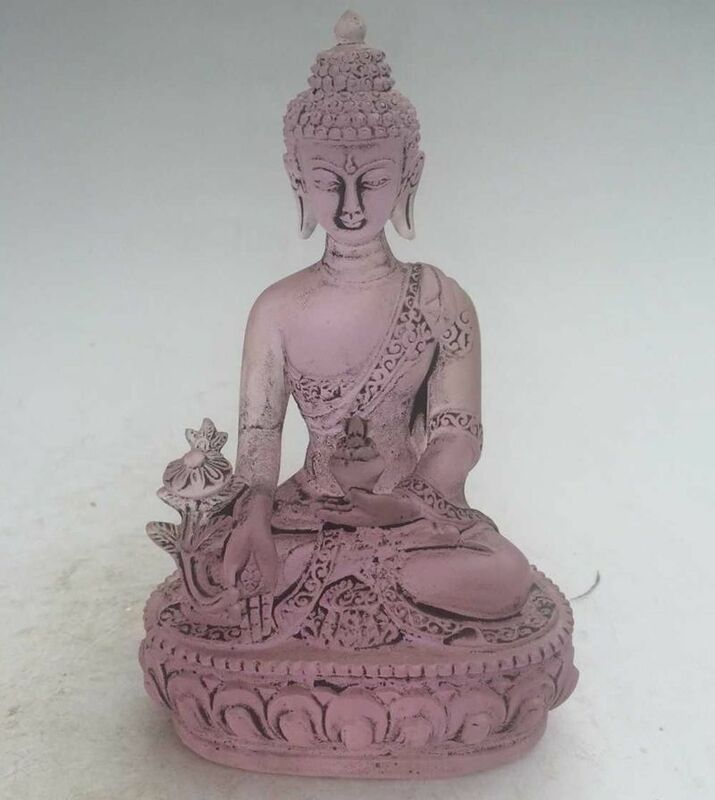 You can still buy crystal Buddha’s today, but the more affordable ones are made out of resin (plastic). Statue gilded gold with silver, turquoise, coral and lapis lazuli that is so large and ornate it undoubtedly would have been taken from a monastery. Though all these oil paintings may look the same, they are slightly different. All being sold by the exact same seller in Australia- ktmgallery– along with hundreds of hand-embroidered passport bags. Ethnic people’s wallets. Scary. He assures us they are signed by a lama, however the back photos of all the thangka’s for sale are all copies of only one thangka, not actual photos of the item in question and for sale. Given the vast quanity of thangkas this particular seller has varying in style and age, I would have to imagine that he is the soul profiteer of the vast number of hand-painted oil thangka’s that have been confiscated from Tibetan families over the last 1/2 century. Every once in a great while I see another hand-painted thangka in other shops, but not often. I am guessing they moved the lot of them off mainland China so that they wouldn’t arouse suspicion- but why does a dealer in Australia have more hand painted Tibetan thangka’s than any museum has and the world has ever seen again? Does that not seem stranger than they’ve made it all the way there along with so many people’s wallets? And though I’ve tried and tried to get a few thangka’s from this shop, they seem very reasonably priced pre-auction time, I’ve been out bid every single time on even smaller, simple thangka’s and personal wallets. Presumably there is at least one reseller who knows the real value of these who buys from this particular dealer, and effectively sets the price higher than I want to pay for goods that were stolen from innocent families. If anyone sees a great quantity(s) of these for sale elsewhere in the world at a typical retail price (marked up from the Ebay auction price), then we will know where most of these have gone to. With prices so low, and numbers so high, the vast majority of goods probably don’t go to practitioners of Buddhism or even people with an interest in Tibet, but speculators who know true value of things and are buying low so that they can sell high. That the binder used to bind the pigment together in these oil paintings turns colors with age as seen with this older thangka. How much older? The first shop ktmgallery carried passport bags- they actually called them “passport bags” though they were just little purses, but perfect for passports I suppose, and a few items of random Tibetan jewelry occassionally. 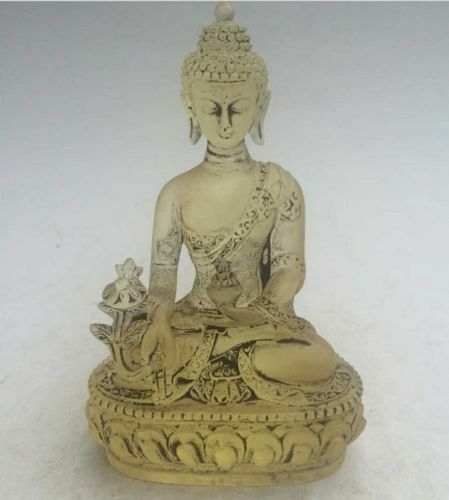 It appears that the newest shop called artoftibet has been stocked with not only the same thangkas from Tibet, but statues straight from there and fairly high quality, many gilded in gold- which is a newer development for this seller. 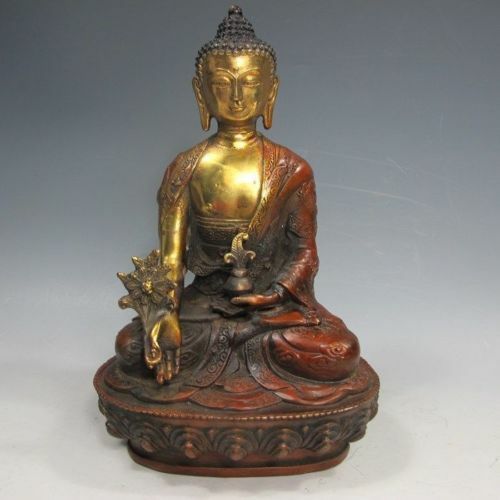 Update 07/2016: seller has apparently closed all the previous shops and opened this shop called asianartauctionhouse selling the exact same Tibetan thangkas. Update 12/17/2016: seller closed all the previous shops again and opened up this shop called dharmstoreaustralia selling the exact same Tibetan thangkas with the exact same stock photo used for the backs of the paintings on auction as above. The auctions listed on this site are by no means ALL of the items being sold, but just a small slice of what and how much. Through extrapolation of such numbers a fair estimate of what has been lost and wrongfully gained can be obtained. The links on this site are dynamic, particularly since most of them direct to Ebay itself which typically has a three month limit to their availability. Every attempt has been made to keep links up to date, but because of the nature of this website, some of the links are bound to become outdated. Due to the nature of this site, it may contain material which has not always been specifically authorized by the copyright owner, but believe this constitutes fair use. Under Section 107 of the Copyright Act of 1976, allowance is made for ‘fair use’ for purposes such as criticism, comment, news reporting, teaching, scholarship, and research. The views and opinions expressed in the media, articles and comments on this web site are those of the author and do not necessarily reflect or represent the views and opinions held by others of any culture, religion or specific country.